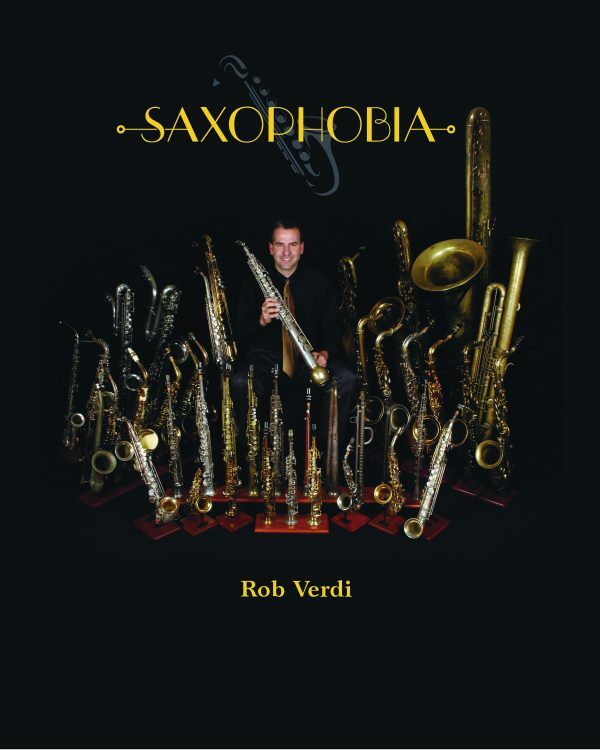 This CD features 14 different saxophones representing a variety of jazz styles. Most of the musical selections are accompanied by a rhythm section of piano, bass and drums. This professional Los Angeles studio recording is complete with 10 pages of liner notes, photos, and vintage advertising from the original manufactures. Musicians: Rob Verdi, saxophones, Curtis Brengle, piano, Bruce Lett, bass, Paul Johnson, drums, Vince Verdi, clarinet, Greg Varlotta, trumpet, Roger Bissell trombone, Larry Giannecchini, guitar. 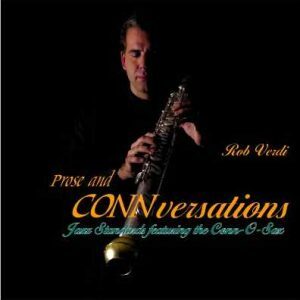 “Prose and CONNversations”: This CD showcases a very rare saxophone called a Connosax, an instrument produced by the Conn Musical Instrument Company from 1928-29. The disc includes arrangements of popular traditional jazz standards accompanied by a rhythm section of piano, bass and drums. Some selections feature additional horns including trumpet, trombone and clarinet.